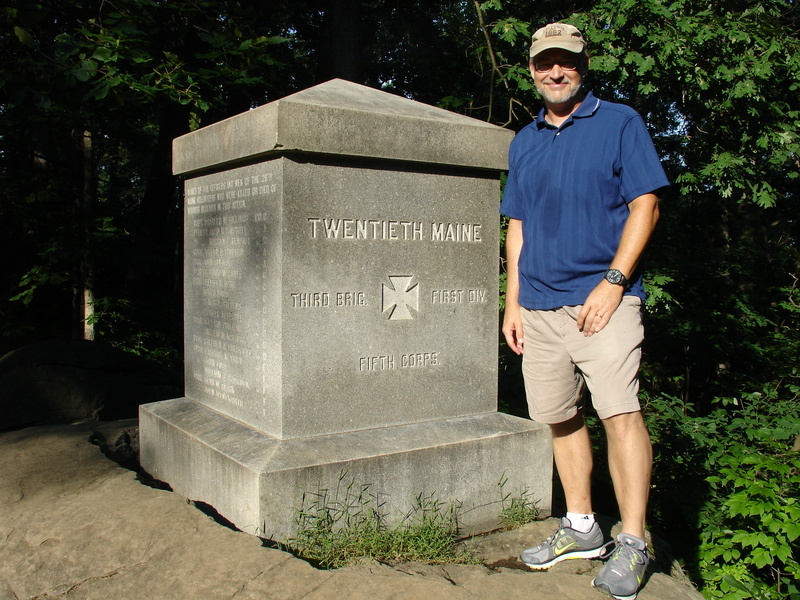 Standing beside the memorial to the 20th Maine Inf. on the southern slope of Little Round Top. Faith and History is the blog of Robert Tracy McKenzie, professor and chair of the Department of History at Wheaton College. Before coming to Wheaton in 2010, I served for twenty-two years on the faculty of the University of Washington, where I was honored to receive the university’s distinguished teaching award, was named a member of the U.W. 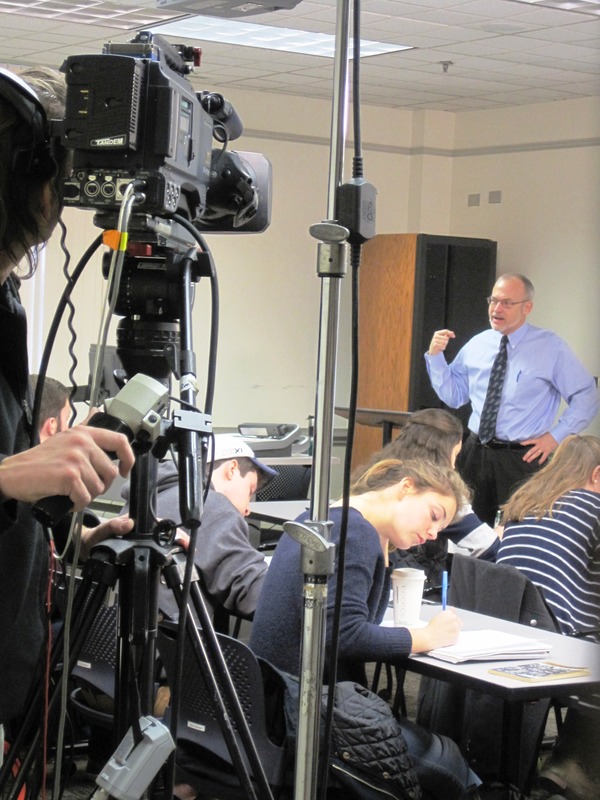 Teaching Academy, and held the Donald A. Logan Chair of American History. Along with dozens of scholarly articles and book reviews, I have personally authored two of the approximately 70,000 books about the American Civil War (published by Cambridge University Press and Oxford University Press). 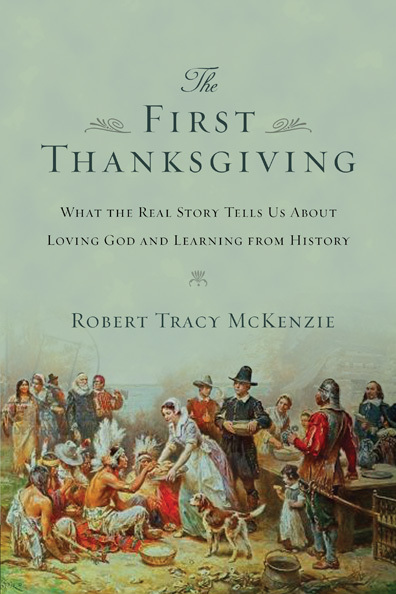 In keeping with my changing sense of calling, my most recent book, available from Intervarsity Press, is The First Thanksgiving: What the Real Story Tells Us about Loving God and Learning from History. 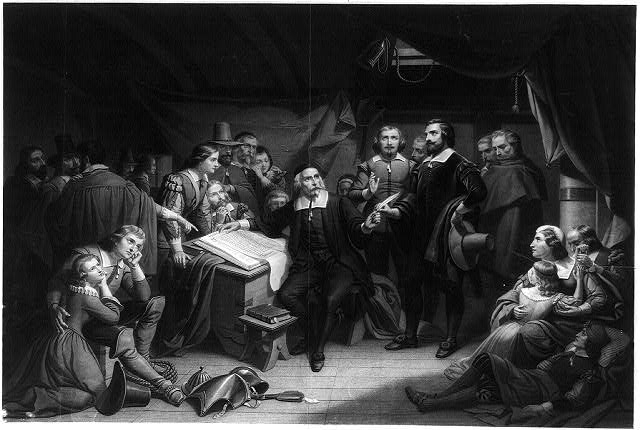 I wrote The First Thanksgiving for the same reason that am writing this blog: I have a burden for the church and a deep desire to be in conversation with Christians about what it means to think Christianly and historically about the American past. (For a fuller explanation, check out “Why I am Writing.”) I hope you will find food for thought here. Please consider subscribing if you do so, as well as sharing this site with others who are interested in the life of the mind, the love of God, and the exploration of the past. Although the first thanksgiving celebrated in North America was by Spanish colonist in the area of El Paso, these people (my people) we’re not Texans or Mexicans, but a unique and ancient subset of Latin people who settled into the area of Northern New Mexico, founded the oldest capital in the US (Santa Fe), and who’s descendants still live in the area. Isolated over 400 years we New Mexicans (the name is not related to modern Mexico but rather the name given in 1581 by explorers incorrectly believing the area had wealthy “Mexica” native cultures), take great great pride in our unique history. Consequently the Thanksgiving feast by Oñate at El Paso was by our ancestors on their journey to the area of Santa Fe. El Paso was later founded by New Mexicans in exodus after the Pueblo revolt of 1680. Later El Paso was only a stop over on the way to Santa Fe, and was a part of the New Mexico territory under Spain, Mexico and the United States until the U.S. Compromise of 1850 (known better for sparking the Civil War) gave it to the newly found state of Texas. So for us New Mexicans a group of people often forgotten about in American History, little notes such as The First Thanksgiving are of great pride to us. Have you stopped writing? I enjoy your blog. Hi, I’m a French journalist and I’m writing a piece about Thanksgiving and French settlers in Florida in the 16th century. I would like to reach you for a quick interview if that’s possible. Could you please send me an email so I have your contact? charloberti@yahoo.fr . Thank you very much in advance for your help! Have you never heard of a Dutch oven? There would have been at least corn pudding and pumpkin pudding. Do some research in colonial cookery before you say from such a platform what wasn’t done. Dutch ovens are often used hung over open fires. If they had the pots and ingredients they could theoretically have had wonderful breads, cakes and puddings. I appreciate very much your account of the Pilgrims. My question relates to the people whom you choose to argue against, Kirk and Rush. My experience as a United Methodist pastor is that of hearing far more about how the Pilgrims begin the genocide of the Native American. The point seems to be part of undermining any genuine Christian participation in this national holiday, as well as discrediting anything positive concerning the founding of the country. If you commented upon these criticisms I have not seen them. Please direct me to them. Given your other posts, it would be interesting to read how you react to such anachronistic criticisms. Thank you for your response. I realize you are busy, as are us all. I hope you do not mind if I pursue this a little differently. First, I may be missing something, but I am not sure why the mistakes and anachronisms in Rush Revere are “deeply offensive.” In any case, if your primary target is conservative and evangelical audiences, I get your focus. I do not know Cameron at all. However, as a United Methodist and an admirer of theologian Pannenberg, I am not fully in that camp, although I do share some of the concerns. Thus, second, my question has more to do with my context. I see too many of my colleagues persuaded by a Left agenda that wants to undermine any Christian-religious considerations in the founding of the country. So, yes, there are Christians persuaded by such arguments that the Pilgrims initiated genocide. I have read evangelicals who have gone down the path of a Leftist interpretation. At least, they call themselves such. I am thinking of Sojourners and Jim Wallis here. Third, I must say that your reflections made me think of the complexities of history. I have loved history since High School. I have never found historical interpretation of events as simple as some would like. However, if you have a political agenda (Left or Right), history becomes simple. All you have to do is selectively read it in light of that agenda. Actual history is complex. You have pointed that out very well. Again, I realize this is a busy season in schools. I appreciate any feedback. In my context, the Left-leaning re-interpretation of American history and religion is a pressing issue, at least for me. I realize that your context would lead you in a very different direction. Again, I appreciate so much your blog and look forward to reading more.